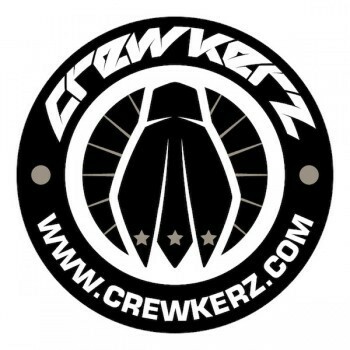 Forged stem from world specialist on trial bikes CREWKERZ. 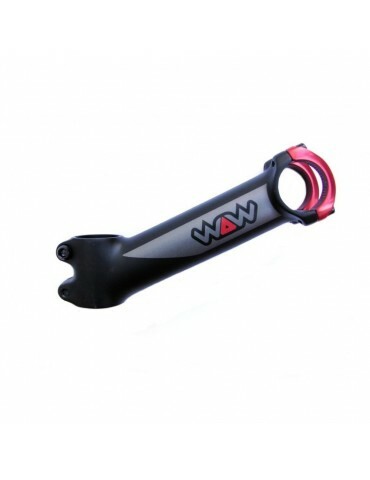 Stem have a horizontal stem cup with a red colored head clamp for handlebars of 31.8 diameter. Model WAW (Wild And Wired) 150mm / 35°. Designed for 20" and 26" trial bikes. Return of unused goods within 14 days. Crewkerz WAW ("Wild and Wired") stem. Light weight and strong forged stem in 6061 T6 Alu. Compatible with 31.8mm handlebars only. Four bolt (M5) front clamp for easy removal of the handlebar. The front clamp consists of two separate pieces, that helps to save weight. Steerer tube clamp height: 50mm. Black color with red/grey WAW logos. You may unsubscribe at any moment. For that purpose, please send unsubscribe email to our contact below.